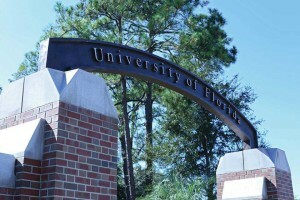 GAINESVILLE, Fla. — The University of Florida at Gainesville has agreed to post secular quotes on an arch on its campus in a compromise with a prominent atheist activist group that took issue with a Bible verse posted on the structure. During the building’s dedication ceremony last November, James Heavener, after whom the building is named, told those gathered that Micah 6:8 is one of his favorite Scriptures. But in April, the Wisconsin-based Freedom from Religion Foundation (FFRF) sent a letter to university president W. Kent Fuchs to assert that the inscription is unconstitutional and must be removed. FFRF also contended that Micah 6 advocates for child sacrifice. Since Heavener was reportedly adamant that the Scripture remain, the University of Florida has agreed to add secular quotes to the arch in order to appease the atheist organization. “The Heavener School of Business at the University of Florida has designed an ethical portal in the double archway of Heavener Hall courtyard to highlight the importance of ethics in business,” it wrote in a statement on Monday, noting that one was selected by Heavener and three other secular quotes will be added. “The school has no interest in advancing or burdening religion; its only interest is educational and relates to the quotes’ core universal ethical principles,” it said. The Paine quote had been suggested by FFRF, and the other two had been selected by an ethics teacher at the university. The quotes and plaque will be installed within the next few weeks. Football great Tim Tebow and Republican presidential candidate Marco Rubio are graduates of the University of Florida.